UPDATE: I managed to reach Charles Barkley's rep -- who told me that Charles has given up on left-handed golf! (I think this may be a scoop -- remember, you read it here first!) He also told me that the Round Mound declined my request for an interview. Oh, well. No reason I can't ask again when the book is farther along and I have more "credibility"! I'd still like to talk to him about his experience giving it a try. 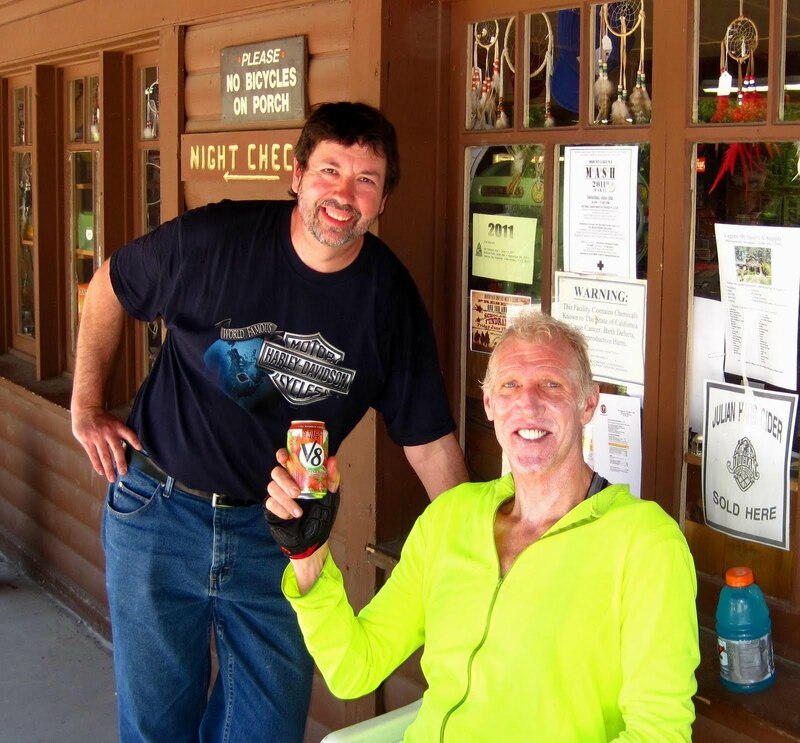 I'll have more information on this as things develop, but for now, long story short: I met NBA legend Bill Walton at the top of 6,000-foot Mt. Laguna outside San Diego yesterday. I had ridden a motorcycle to the top; he had ridden his bicycle. How impressive is that? And he's as nice as he is fit. During the course of our conversation I told him about my book project, and he's going to help me get in touch with Charles Barkley for an interview about his foray into left-handed golf! UPDATE: I did manage to get in touch with Charles Barkley's manager, who passed my interview request along to Sir Charles. Unfortunately, he wasn't interested in talking to me. Oh, well. At least I tried!